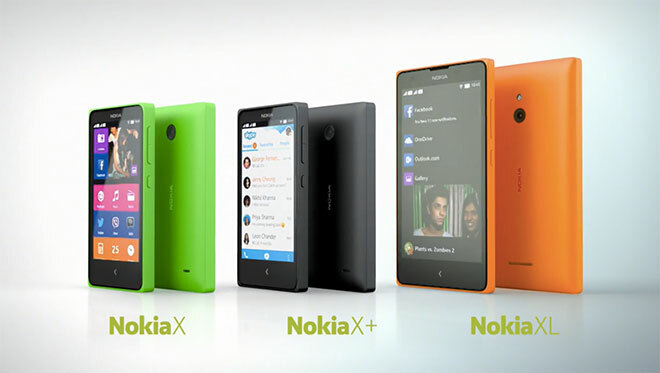 Today at the Mobile World Congress 2014, Nokia has come up with its first foray into the Android world by announcing not one, but three Android devices, the X, X+ and XL. The three smartphones run a heavily customized version of the Android Open Source Project (AOSP). AOSP is all Android but without Google’s service baked in. Instead, Nokia has added its own services and Microsoft’s, too. A promise of a full-featured 4-inch budget Android phone for 89 euro should be enough to show you Nokia is dead set on undercutting pretty much all smartphone competition out there. That would have been all fine and dandy if Nokia’s Devices division was not on its way to a full acquisition by Microsoft – one of Google’s biggest adversaries in the mobile space. So we can’t help but ask ourselves, where is Nokia going with all this? Well, up on the stage earlier today, Nokia’s CEO Stephen Elop made it quite clear that Nokia has no plans of investing effort into premium Android products. Their Nokia Android phones will remain below their Lumia smartphones. It’s clear that Android will be nothing more than a vessel for delivering their services to even cheaper market segments where Windows Phone simply cannot get. Selling their Android smartphones at break-even price points will open their services to a market segment that’s underdeveloped in terms of smartphone usage and also one that’s so far been dominated by underpowered Android smartphones with small screens. It’s not only the services. Nokia will also be making money off selling Android apps. The Nokia X phones will have their own Android Nokia Store. 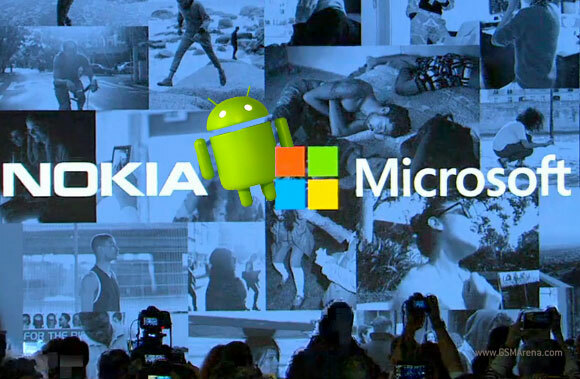 But Nokia’s products will be opened to Android developers in a number of ways. Nokia users would be able to use other third-party Android app stores and would also be able to sideload installation files of apps they have on hand. Key selling point for Android developers is Nokia’s market-leading operator billing network, which would allow more accessible and seamless in-app purchase experience, which doesn’t require a credit card. Nokia has carrier billing agreements with 160 operators in more than 60 markets worldwide. But most importantly, with these devices Nokia will be welcoming waves of new users to its own location services (HERE Maps) and Microsoft’s cloud services (Skype, Outlook.com, OneCloud). These come preloaded on every Nokia X smartphone and are sure to make those platforms even more popular than they are now. In the long run, this will ramp up the revenue those services make and will also possibly lure these first-time-smartphone users to Windows Phone somewhere down the line. What remains to be seen is the direction Nokia would take with its Android project once it’s fully incorporated within Microsoft. Whatever it is, today’s move will probably enter marketing books for the years to come as a fine example of either one of the most spectacular flops or one of the cleverest market expansions.